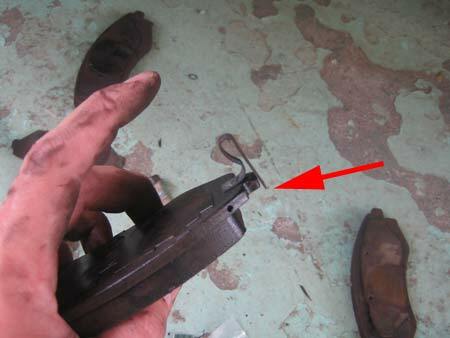 In this photo, you can see that the old pad had lost a few millimeters of brake material. It isn't as thick. There was enough pad left on the old ones to last for another month or three. "Why were they squeaking?" I wondered. Usually this little metal inchworm thing is responsible for the squeaking. It squeaks to signal when the pads are critically thin. The new pads in place, one on either side. This photo shows the view from underneath the car. The pads are just sitting there, not yet fastened in place. 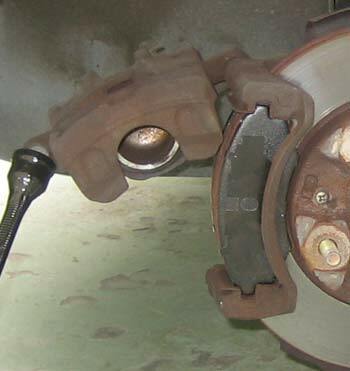 To finish the job, the iron caliper has to swing down and hold everything snugly in place just touching the disk. However, the piston is in the way. 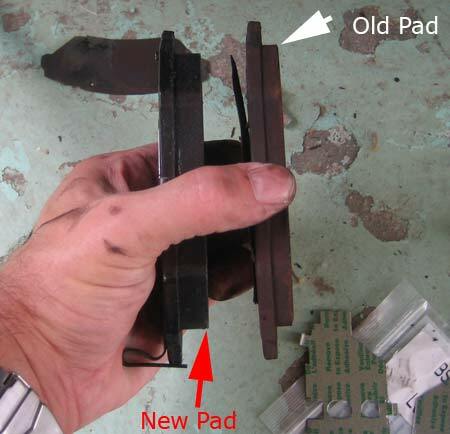 The piston needs to slide back into it's little house, to give more room to the new, thicker brake pads. I always try to push the piston back with my thumbs, but that never works. 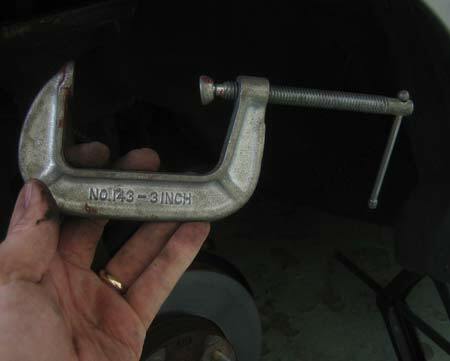 I usually find a "C" clamp, and something flat, to squeeze the cylinder back into its hole a bit. 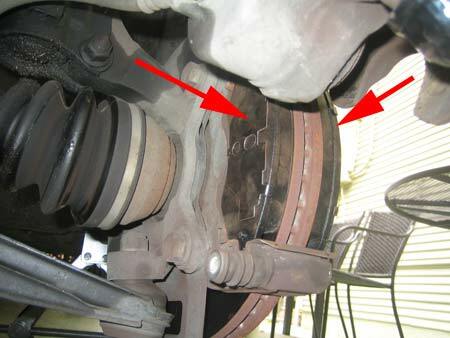 Please continue reading page 6 of Easy, Illustrated Instructions on How to change brake pads.